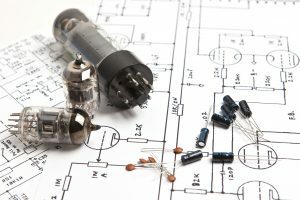 Owning a quiet tube amp is great! 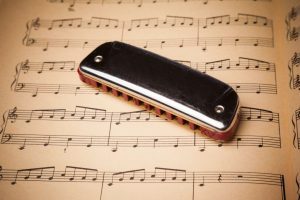 It not only eliminates unwanted loud sounds or music leaks, but also isolate and enhance each musical tone for maximum clarity. You can also hear vocals in great detail. 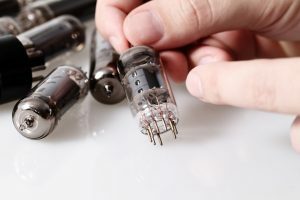 When you use the amp for long periods the tubes can heat up. 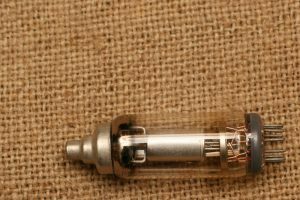 The part of the tube that is the hottest is inside the amp. It’s out of harm’s way. The amp is lightweight for easy portability. The amp is also durable because it’s made with CNC aluminum which has a strong scratch resistant property. The product is embedded with a single chip microcomputer and relay to control the muted sound when off or first turned on. These two components make the device warm up first before transmitting sound. When you turn the amp on you won’t hear a popping sound. This protects your ears and your speaker. The blue LED lights flash for 35 seconds to indicate the amp is warming up. The LED lights will be lit solid once the amp is ready to use. The low ground noise feature ensures there is no ringing or buzzing when you use the amp. This leads to a quieter and more pleasant experience. The amp has a standard 3.5mm stereo jack. You can connect any headphones or stereo to the amp. This compact amp is a prime example that a small product can provide the power you need. 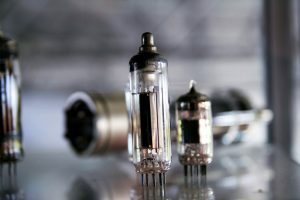 The amp utilizes the traditional 6J1 tube design. 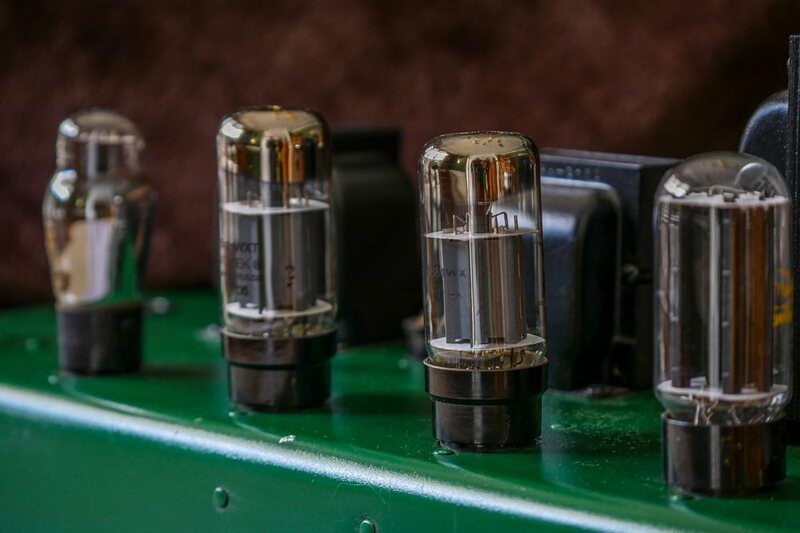 This tube amplifies drive 1.5 times more than the standard amp or speaker. 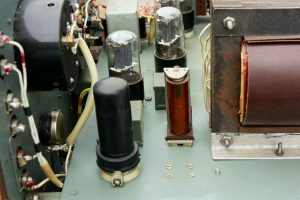 The amp features a patent power conversion model. With this model the amp is quiet and won’t produce any distortion, buzzing or hissing sound. 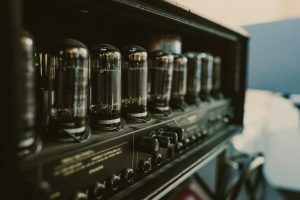 Generally when you first turn on an amp it makes a popping sound, but in this model the power conversion reduces any chances of this sound occurring. This product acts as a buffer rather than an amp. It doesn’t increase the volume but rather drives power to speakers or headphones. This makes sounds clearer and tones distinct. You can use the buffer with a DAC and a class D amplifier to improve the sound quality. 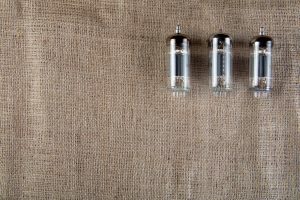 You can also replace the tubes to produce better performance transmitting to the speakers or headphones. This amp is designed to give all music lovers the sound performance they deserve. You get high fidelity from a compact amp that can fit into your hands. 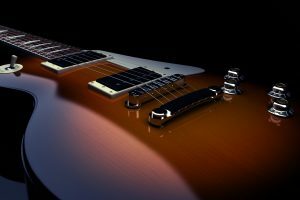 The size and weight are huge advantages because the amp can be carried anywhere without any hassle. 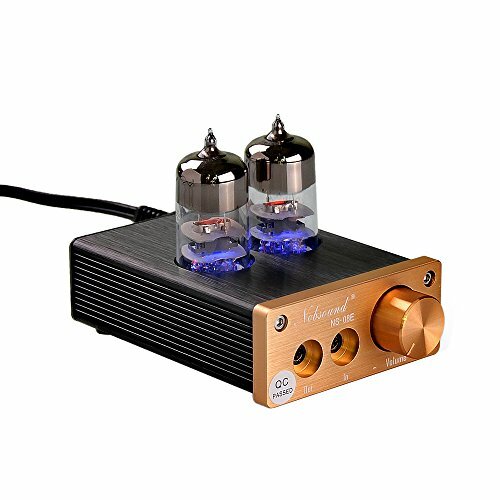 Any headphones with a 24-600Ohm range is compatible with this amp. 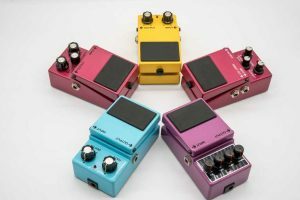 This Nobsound product is designed as a hybrid amplifier. 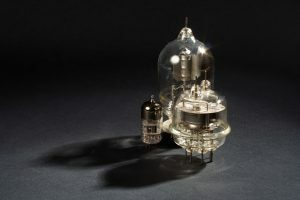 It uses the tubes for preamplification and transistors for the actual audio produced. 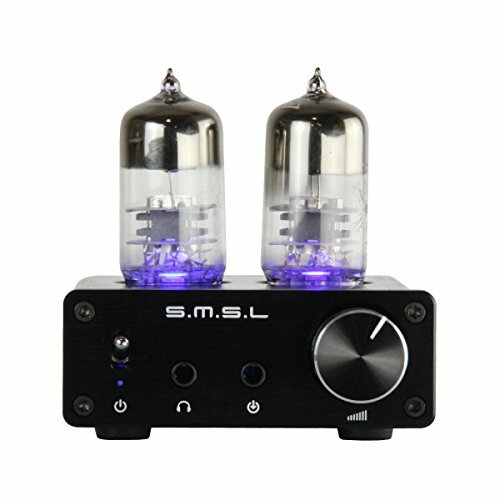 This allows audiophiles to have the tube sounds without the expensive costs. The amp has a sturdy aluminum construction. Even the large knob turns gracefully and isn’t loose. There is incremented movement dials which help you to make a precise volume adjustment. 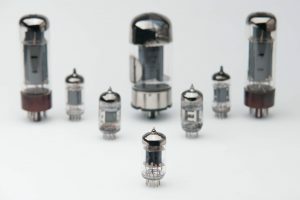 What a great selection of quite tube amps! Choose the Dilvpoetry if you need an amp you know is ultra-quiet with almost no distortions. You’ll enjoy your music without any interference. Transform your music experiences instantly by simply using the right equipment!